All my life, I’ve been allergic to cats. I’m talking itchy eyes, sneezing, wheezing and asthma attack allergic. Never in my wildest dreams would I have thought to own a cat in my home. It wasn’t until a few years ago, I noticed that the neighbor’s cat was no longer bothering my allergies. 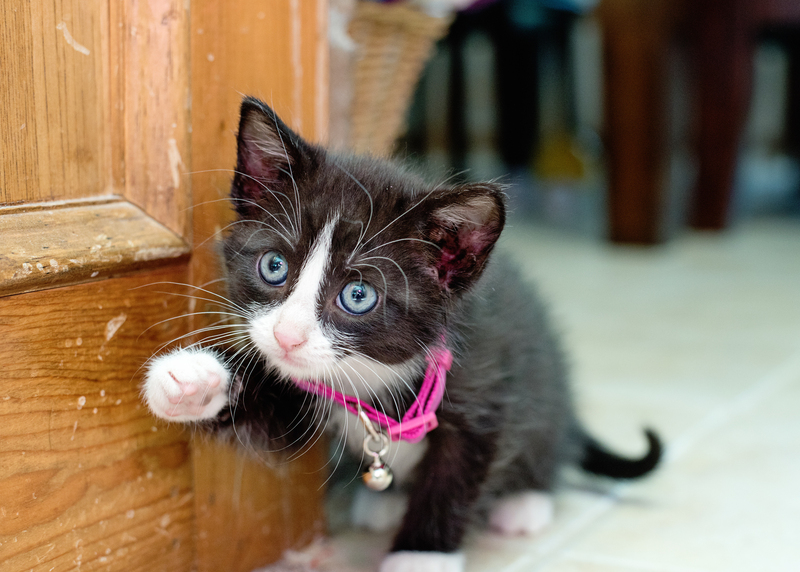 We took the plunge and decided to see if we could become cat owners. You don’t know how excited this made me! Mittens fell into our lap as a baby and I jumped at the opportunity to become a cat mommy. I mean really, how could you resist this face? We had to try and thankfully it was a success. As you can imagine, I spoil my kitty. I want him to be happy and sometimes that means trying new foods, new ways of serving them, new treats etc. Mittens has been on the same cat food since birth and every so often he seems to have a problem with his food. His regime includes a bowl of dry food that he eats on during the day and he gets a little wet food in the morning and again at night. He’s down to a routine and expects it this way. And of course, I give into it. If he hasn’t received his wet food by 5pm, he lets you know it… loudly. Though recently, we’ve had problems getting Mittens to eat. He takes a lick, turns his nose up at the wet food. He went through a phase of wanting chunks, then went through a phase of only wanting pate type food. We were even trying to warm up the food a little in the microwave. He was plain bored with his food and I had no clue what he wanted. We’ve been feeding Meow Mix to the outdoor kitties for some time now and noticed that Mittens has been rubbing all over their food bucket. 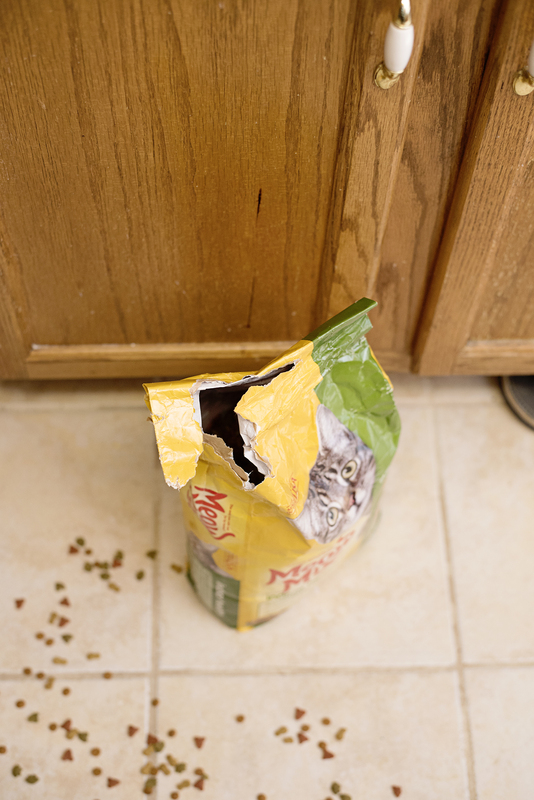 We even heard him shake the lid loose one night, pushed it off and caught him eating the outdoor cat’s Meow Mix! We thought, what the heck. Let’s try Meow Mix and see if that fixes the issue. 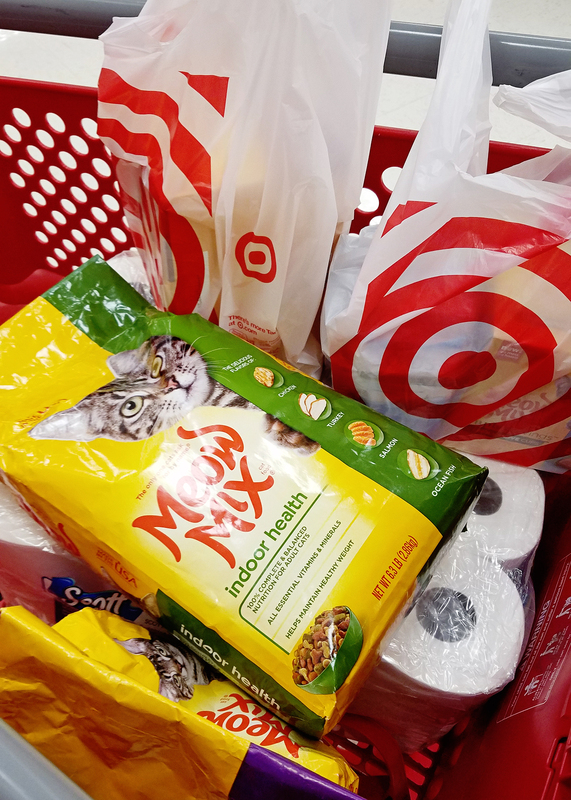 During my last trip to Target, I picked up the Meow Mix indoor health for Mittens, the original choice for my outdoor kitties and a few varieties of the new Meow Mix Simple Servings wet food cups. I really liked the Meow Mix Simple Servings wet food options! No messy metal cans to deal with, a quick single serving without leftovers to store and it was really simple to let the kids do meal time. 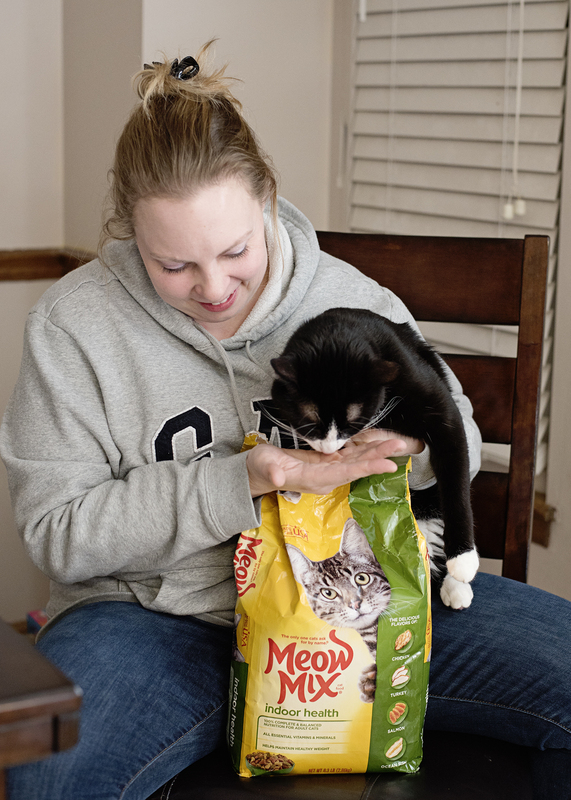 Meow Mix is definitely irresistible to Mittens, specially the indoor health dry food. Yesterday, the bags of dry food were sitting on the floor of my kitchen. My kids screamed at me to come out and look! Low and behold, he actually chewed a hole in the side of the bag and was eating from the floor. 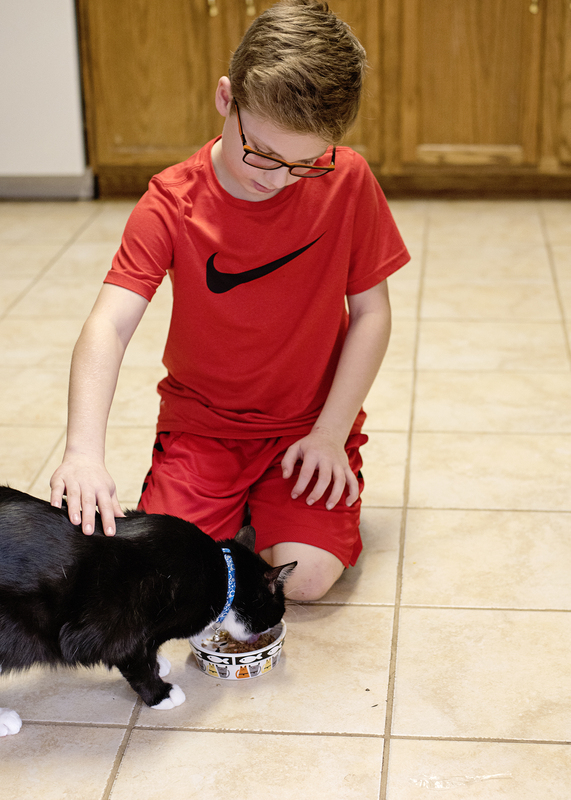 I don’t know what next month will bring for Mittens, but right now Mittens is head over heels with the indoor health Meow Mix and the Meow Mix Simple Servings wet food in the seafood variety. There is such a wide variety of flavors and options, we will surely be able to keep our little guy in a happy place for a long time. 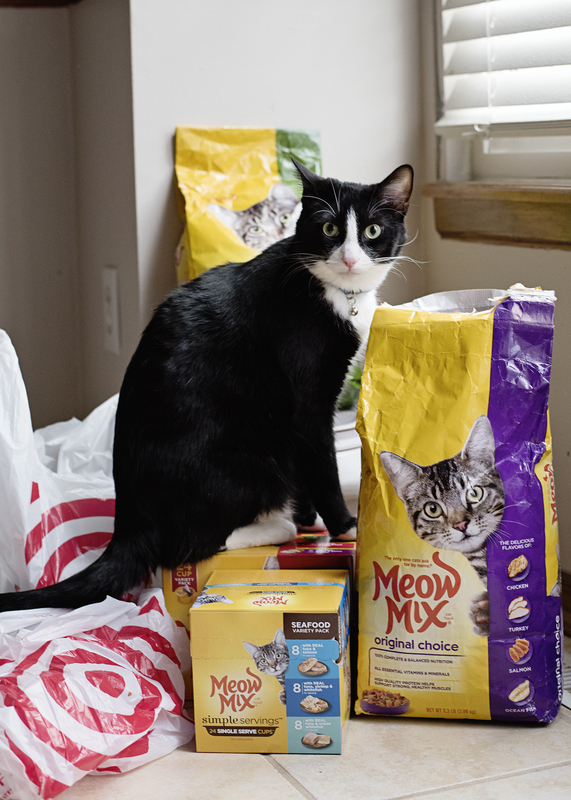 If your cat is bored with their food, Shop Meow Mix products at Target! 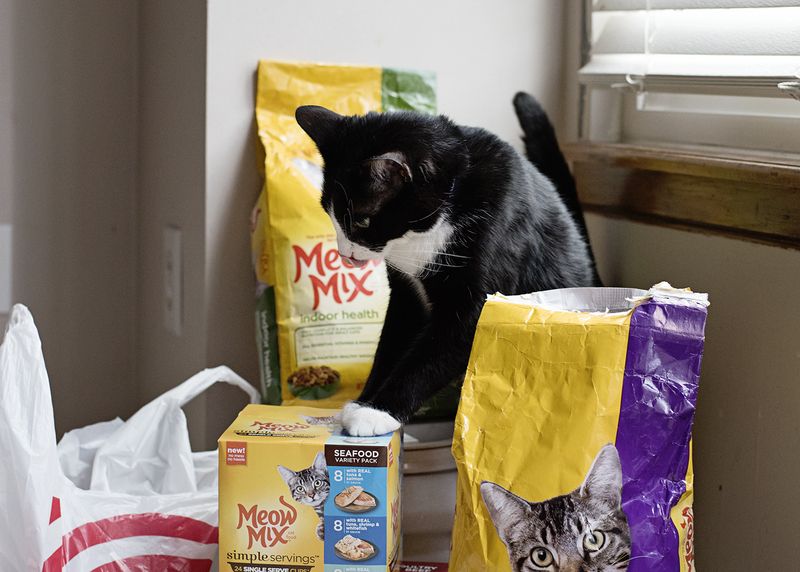 Be sure to grab the Cartwheel offer for 25% off Meow Mix treats, 15% off Meow Mix wet cat food, and 10% off Meow Mix dry cat food.